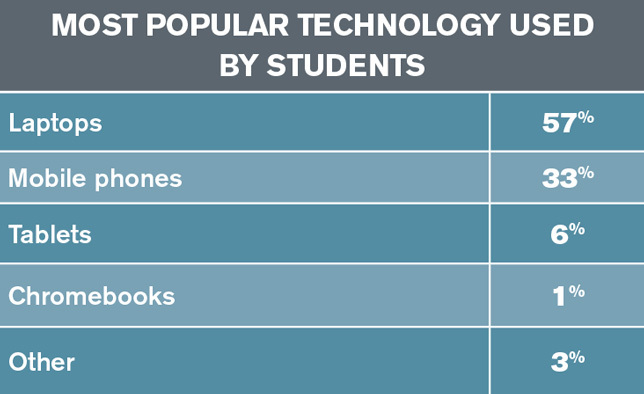 In our second annual Teaching with Technology Survey, faculty weighed in on students' favorite tech, the BYOD model, whether or not to ban devices in the classroom and more. Any faculty member who has looked out at a sea of open laptops in class can tell you that the devices are the go-to technology for college and university students today. In fact, 57 percent of respondents in our 2017 Teaching with Technology Survey, which asked faculty to dish on their experiences with technology in the classroom, singled out laptops as the No. 1 favorite computing device used by their students. Mobile phones came in second, cited by 33 percent of respondents. Perhaps bowing to those preferences, 79 percent of faculty said they allow students to use mobile phones in the classroom (sometimes with limitations), while 21 percent do not. We wanted to know what role colleges and universities play in placing technology in the hands of students, and how faculty feel about it. 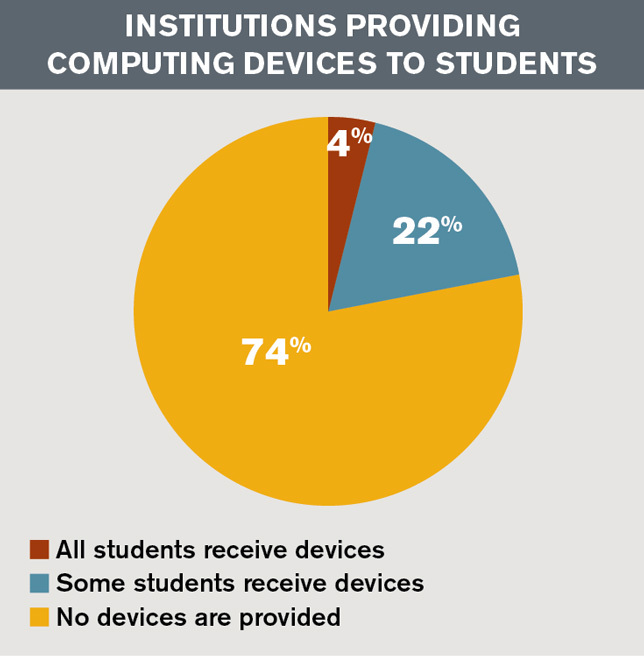 While most faculty in our survey (74 percent) said their institutions do not provide computing devices to students, 58 percent of respondents think they should to some extent. 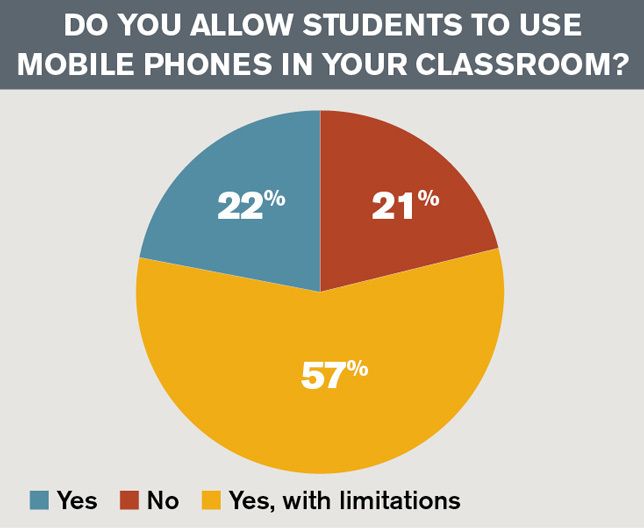 Slightly more respondents (60 percent) are in favor of the bring-your-own-device model for classroom learning. And 46 percent of respondents said their institutions require students to bring their own computing devices (an increase from 44 percent in 2016). We also asked about students' use of technology at home. Sixty-two percent of respondents believe that the majority of their students (76 percent or more) can get online at home. That's an improvement from last year, when 56 percent said the same. While internet access is presumably needed for most coursework, just 6 percent of institutions provide connectivity at home for students in need. In addition, nearly all faculty (95 percent) reported that they assign homework that requires technology use, but just 24 percent said their students are required to use a subscription/fee-based digital system for completing or turning in homework (such as Aplia or WileyPLUS).